Stoic and unwavering. His word is law and this has caused a bit of concern among the ethically growing country. He see’s no visitors unless they have the appropriate tinge of red in their hair. 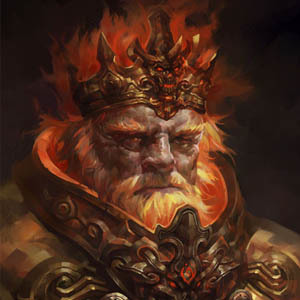 A Mystic Dwarf’s hair actually becomes as bright as flames as they get older and are usually an auburn at their youngest age.